The new schools at Ripley Providence project involved the delivery of a new primary school and state high school on a greenfield site in this emerging priority development area. The schools are independent neighbours, and each have their own entries and full school facilities. The site is very steep, and this presented some challenges and opportunities for the project. 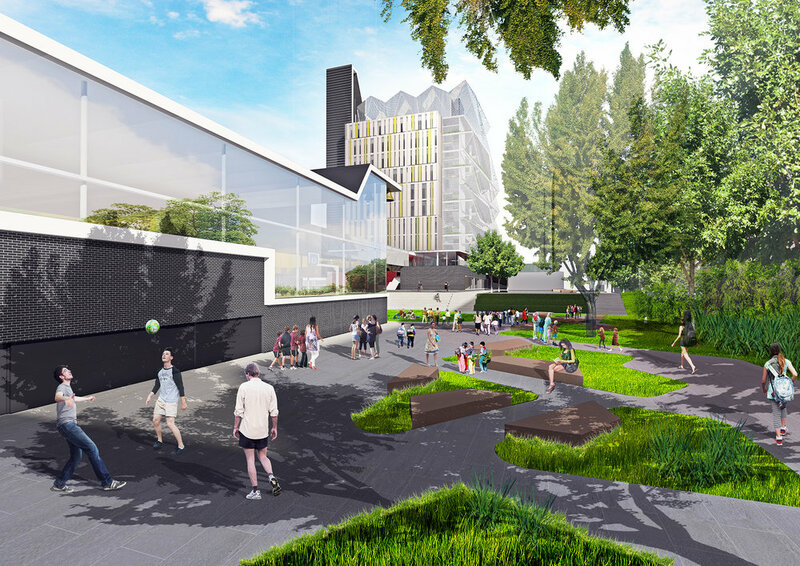 Our design arranges each campus around a series of courtyard learning neighbourhoods connected by circulation across the site. Each courtyard is edged with one-room-deep learning spaces. 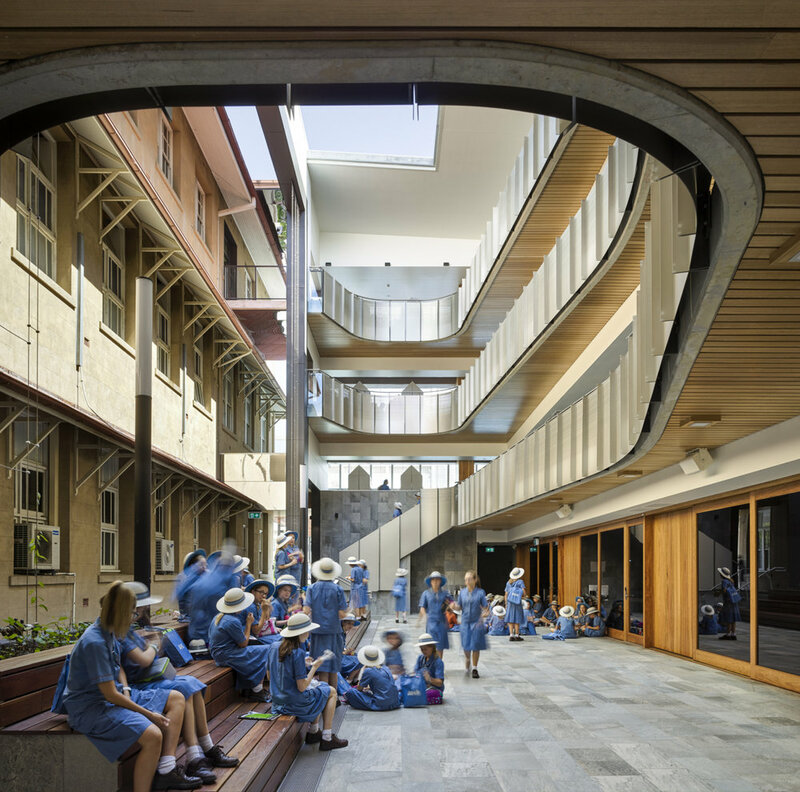 This simple organisation strategy affords great opportunities for student belonging, passive supervision, legibility and passive cooling through cross ventilation. A simple low-maintenance, cost effective palette of materials was selected and delight was introduced with the clever and strategic placement of coloured glass and accents.